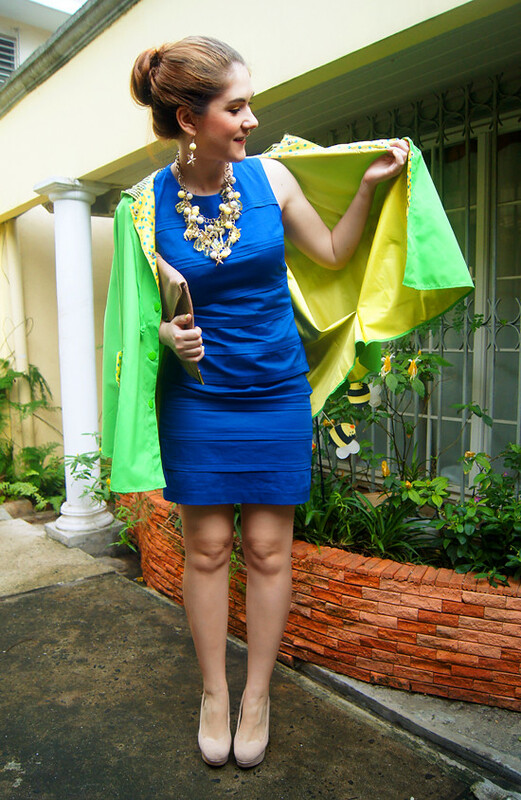 Pair a blue dress with a bright neon jacket (I'm loving this neon yellow jacket by Forever 21... cute and affordable!) 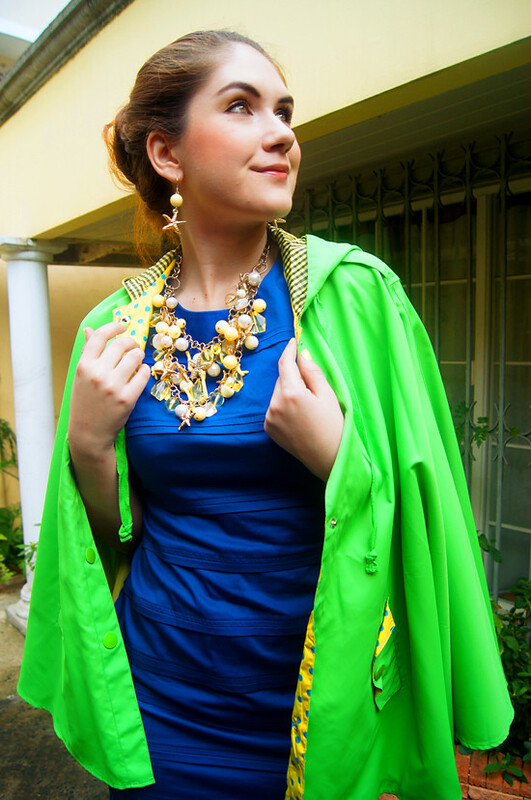 and a statement necklace. 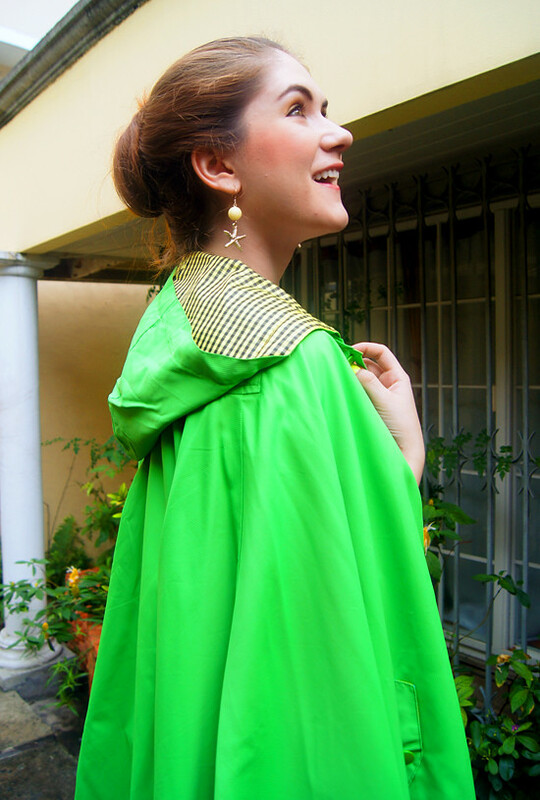 I decided to start the first day of my Neon Challenge with this bold neon green poncho! This baby is very very BOLD. 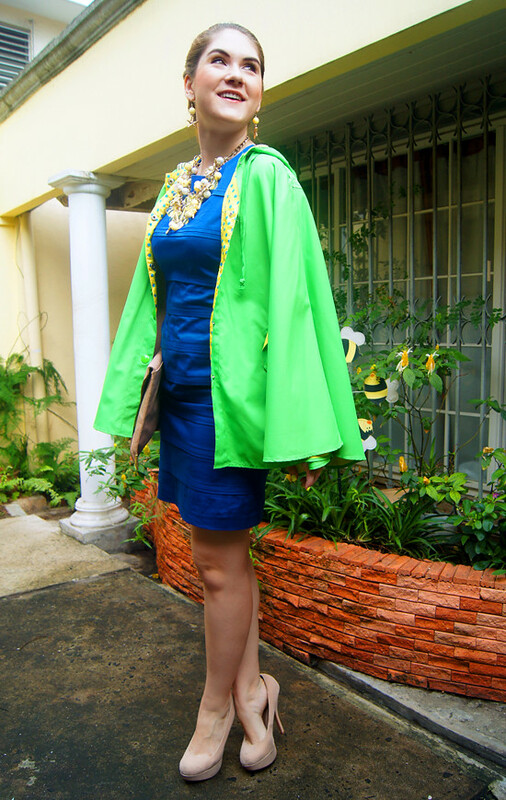 It was literally impossible to not receive some sort of comment from every single person that saw me. 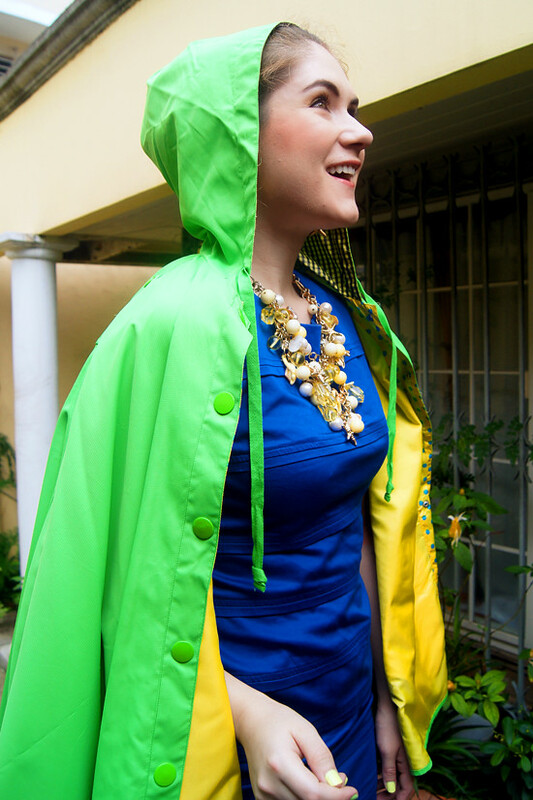 Panama's rainy season just started, so I'm glad to finally be able to wear this bright poncho to protect me from the rain. 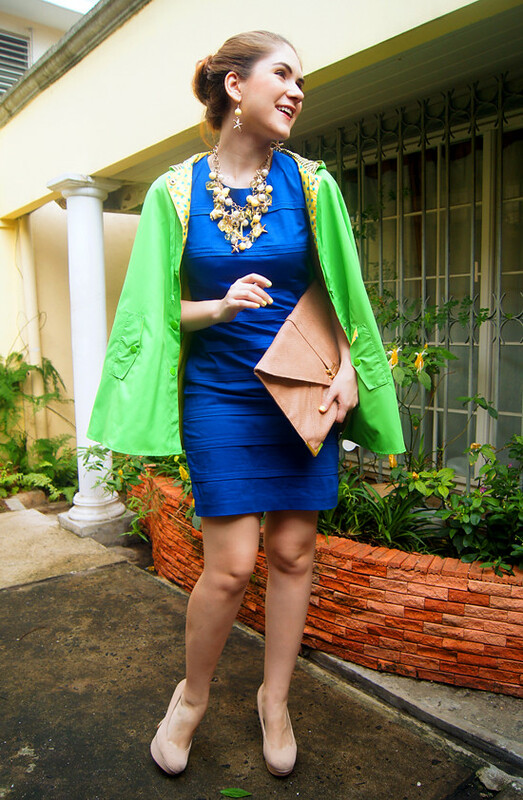 Plus, the blue and neon green color combo looks great right?! 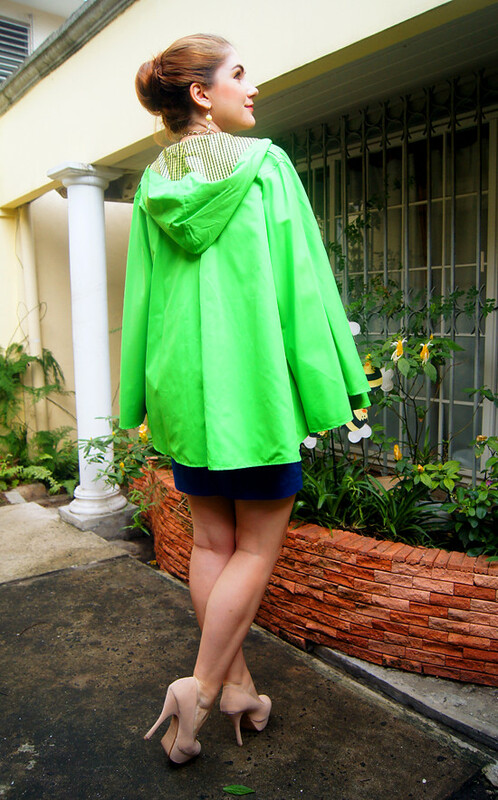 Do you wear a raincoat/poncho or do you only use umbrellas when it rains?